The Windows 10 Creators Update comes packed with new features and apps A Peek Into the Windows 10 Creators Update A Peek Into the Windows 10 Creators Update Microsoft just announced the next major Windows 10 upgrade. The Creators Update will come to 400 million users in Spring 2017. Here are the highlights of Wednesday's Windows 10 event. Read More . Some improve the user experience, some expand the operating system’s functionality, and some help you become more productive. The final group of upgrades is an exciting development. We’re all striving for the holy grail of becoming more productive in less time. The new features go a long way to helping you realize that goal. What new productivity features can you expect to find after you hit the upgrade button? Keep reading to find out. Finding an effective way to manage browser tabs has been a problem for years. The advent of browser tabs more than a decade ago was a welcome development, but since then there has been no significant shift in the way they work. Having too many browser tabs open at the same time presents numerous problems. They drain your battery faster, potentially reduce your connection speed, chew through RAM, and drag on your CPU How to Identify Which Chrome Tabs Are Wasting RAM and CPU Resources How to Identify Which Chrome Tabs Are Wasting RAM and CPU Resources If Chrome is slow and laggy, it could be due to a rogue tab that's eating up too much RAM or CPU. Here's how to figure out which tab is the culprit. Read More . All these issues can passively impact your productivity. There are also more practical issues. If you’ve got lots of tabs open, you can’t effectively use the Ctrl + [Number] shortcut to cycle between them, and you can’t see the title of each individual window. Both problems will slow you down. Third-party developers have released various tools in an attempt to fix the problem 12 Incredibly Useful Ways to Manage Multiple Tabs in Firefox 12 Incredibly Useful Ways to Manage Multiple Tabs in Firefox We all need an extension (or ten!) to wrestle browser tabs into submission effortlessly. Especially you, you tab hoarder. Read More , but the Creators Update has brought a new feature to Edge called Set Aside that offers a native solution. To use the feature, click the Set Aside icon in the top left-hand corner of the browser’s window. All your tabs will be shifted out of sight into a new panel, and you’ll be given a new empty tab. To see the tabs you’ve set aside, click the adjacent button. A new panel will open that shows a thumbnail of all the windows, along with the date you closed them. Click on an individual tab to restore it, or click on Restore tabs to reopen everything. You can also close tabs by clicking the X icon, or share them by using menu behind the three horizontal dots. Edge remembers the tabs even if you close the entire browser app. The Windows Registry is famed for being confusing and unwieldy to use. The long addresses of keys certainly don’t help; it can take an eternity to type the location into the address bar or click through the seemingly endless subfolders. Microsoft has taken a step to make registry navigation a simpler process. Now, instead of having to type out entire HKEY names in the address bar (for example, HKEY_CLASSES_ROOT or HKEY_LOCAL_MACHINE), you can just type a shorthand code. HKCU will take you to HKEY_CURRENT_USER, HKU will take you to HKEY_USERS, and so on. It might be a small change, but if you spend a lot of time in the registry tweaking and customizing your operating system, it’s a welcome development. Warning: The registry is a highly sophisticated app. Making changes can brick your machine. Use it with extreme caution. Although the new Microsoft To-Do app Microsoft To-Do vs. Wunderlist: Everything You Need to Know Microsoft To-Do vs. Wunderlist: Everything You Need to Know Microsoft To-Do will replace Wunderlist in the coming months. Learn about To-Do's best features, what's still missing, and how you can migrate from Wunderlist to To-Do. Read More has received a lukewarm reception from users, the company already offers a powerful task management tool in the shape of Cortana. When you’re not asking the personal assistant for takeaway menus or directions to the cinema, you can use it to streamline your daily tasks. Except, in previous versions of Windows 10, there was one glaring omission: you couldn’t set reoccurring reminders. As any user of task management apps knows, it’s a vital feature. How else are you supposed to remember to pick up the kids from school every day?! Microsoft has fixed the issue in the Creators Update. To set a reminder, either give Cortana a verbal command or type Remind [activity] in the Cortana Ask me anything box. When you populate the Time field, you’ll now see a new drop-down menu at the bottom of the window. Expand it and you can choose how frequently Cortana will remind you of your task. To edit your existing tasks, open Cortana’s notebook and go to Reminders. 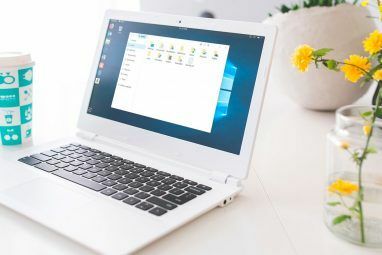 Sometimes it can be hard to find the balance between productivity and security 7 Tools to Manage Privacy Settings in Windows 7 Tools to Manage Privacy Settings in Windows Every Windows version has its flaws and user privacy is one that haunts them all. We'll introduce you to seven tools that can help you manage native Windows privacy settings. Read More . For example, are you willing to let Cortana see inside all facets of your life so you can shave a few seconds off a web search? Another area where the problem is apparent is with locked devices. We all know we should lock our screens when we’re away from our machines in an office or public setting, but who wants to deal with typing in a long password every time you go to the printer or make a cup of coffee? In the Creators Update, it’s no longer a trade-off you’ll have to ponder. Microsoft has launched a new feature called Dynamic Lock. 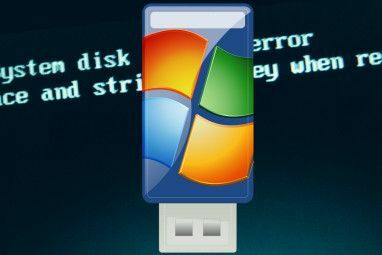 It allows you to pair your Windows computer with an on-person Bluetooth device such as a smartphone or iPod. If Windows detects your Bluetooth device has been out of range for more than 30 seconds, it will automatically lock your screen. Best of all, it will also know when you’re walking back to your desk. As soon as the Bluetooth connection is re-established, your machine will unlock without the need for a password. To set up Dynamic Lock, go to Start > Settings > Accounts > Sign-in options > Dynamic Lock and tick the checkbox next to Allow Windows to detect when you’re away and automatically lock the device. Note: It’s wise to only connect one Bluetooth device to Dynamic Lock. The performance is erratic if you have a phone and a tablet and leave one device near your machine and take another with you. In Windows 10, it’s fair to say the Windows Start Menu is better than ever. The horror show from Windows 8 Make The Windows 8 Start Screen Work For You Make The Windows 8 Start Screen Work For You So much has been written about the Windows 8 Start screen over the past few months that sometimes it seems as though we've heard every viewpoint and seen every tweak. However, it seems that there... Read More has been revamped, and it can now be used in a number of ways depending on how you like to organize your apps and desktop. In the Creators Update, it’s taken another giant leap forward with the introduction of Start Menu folders. It’s especially useful if you like to use the Start Menu as your shortcut hub. Personally, I recommend this approach. 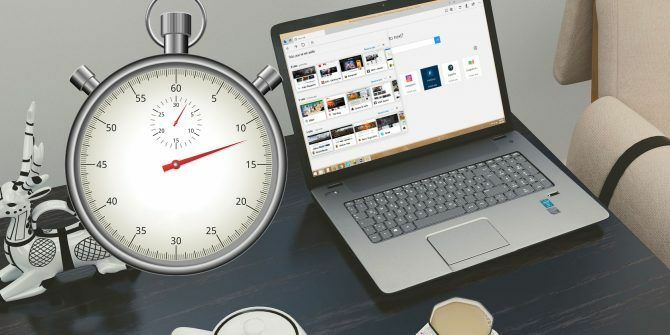 It keeps your desktop clutter-free, while still giving you fast access to all the apps and folders you use most frequently. To create folders on the Start Menu screen, simply drag-and-drop icons on top of each other. Finally, let’s give a special shoutout to the reimagined update process Windows 10 Creators Update Introduces New Pause Update Button Windows 10 Creators Update Introduces New Pause Update Button The Windows 10 Creators Update is rolling out to Windows 10 PCs across the world. The massive Windows 10 update is packed full of features, like the new Pause Update button. Let's take a quick... Read More . Microsoft has finally realized that it doesn’t help people’s productivity workflow if they’re thrown off their current task so Windows can install some updates. You can now defer updates for up to seven days. Go to Settings > Update & security > Windows Update > Update settings > Advanced Options > Pause Updates to enable the feature. Has the Creators Update Improved Your Productivity? Now you’ve (hopefully) been using the Creators Update for a few weeks How to Get the Windows 10 Creators Update Now How to Get the Windows 10 Creators Update Now The Windows 10 Creators Update will roll out in April. Are you eager to try it? Or would you rather avoid it? We'll show you how to get Windows 10 1703 on your own schedule. Read More , let us know how it’s helped boost your productivity. Which features are the most useful? What does Microsoft still need to do if it wants to turn Windows into the most productive operating system on the market? You can give us all your thoughts and feedback in the comments section below. 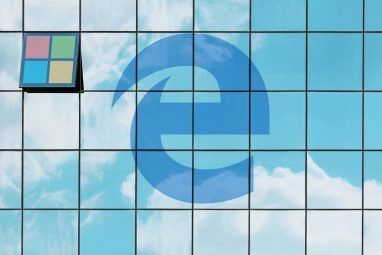 Explore more about: Microsoft Cortana, Microsoft Edge, Start Menu, Tab Management, Windows 10, Windows Registry, Windows Update. Give us a built-in selection of dark (not just black, HIGH CONTRAST) themes for windows explorer. NOT JUST THE BORDERS, the whole screen. Make themes with varying dark toolbar hues with gently contrasting lighter font colors. FF is my main browser. to get dark themes there I am forced to use "Stylish" add-on with "Global Dark Style" -my current solution. It renders well on many sites, but I have to turn it off frequently to see sites I frequent daily -Aack Aack #$%^&*. Edge SHOULD ADD Native dark themes as requested for win ex above AND IT WOULD LEAPFROG FIREFOX on this aspect. I find it really interesting how this is an article about Windows 10, but the top picture shows a screenshot of either Windows 8 or Windows 8.1. I just thought it was funny.